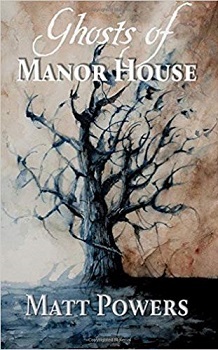 Ghosts of Manor House is a short ghost story of just 202 pages, I’m not sure where this book would sit genre-wise as it’s not quite horror, not really a thriller, I can’t say it is suspenseful either, it is just a lovely interesting ghost story, though without the scary side to it. Edmund and Mary’s son Tommy has recently died and Mary is struggling to come to terms with his death, she is very depressed. Edmund is at the end of his tether with trying to make Mary happy so when they are invited to stay at a manor house on holiday he decides that it would be a great idea. Edmund decides to go along first for a few days to work on his novel with his wife and daughter to following soon after. However, it turns out that the family are not quite alone at the Manor House, as well as the living occupants there are a few that have been deceased for quite some time. You get a sense of what happened to these people from the opening chapter, which I loved. The book was a real mix bag for me. As I said the opening chapter was just perfect and I loved it. I just wish that it was longer than a few pages. We then moved forward in time and meet Edmund and Mary. I found the couple hard to connect with as I really couldn’t find anything to like about them. If I’m honest they were quite boring people. I also struggled with the writing. The book is written in the present tense and for me, this actually lessened the thrill of the book as it is written in a tense I don’t particularly enjoy reading. There was also a lot of talking throughout, I prefer more show than tell. I also got confused a few time and had to re-read sections. Apart from the opening chapter I really enjoyed the ghosts. If it wasn’t for the ghost I most likely would have given up – Sorry. Overall it is a good ghost story, some shocking and some predictable moments. If you like scary books and don’t mind present tense writing then this would be a great book to choose. Especially with Halloween not far away. Too bad – it looked promising. It wasn’t a bad read, just not a book for me. Great review. The cover is pretty! Thanks, agree about the cover. Great review! Sounds like it’s just un-scary enough for me to maybe give it a try. The cover image is great. I really like the style and colors of it. Thank you. It’s not scary so would be perfect for you. Actually, ghost stories could be good. However, this one seems to fall short. It isn’t a bad book. I just wanted more. I’ll have to check this one out. It sounds good and maybe I’ll be able to get into it more than you did. Great review! Sorry it didn’t work out for you. I do find it fascinating when the lines between genres are blurred like this one appears to be. Thanks Matt. I hate writing negative reviews – although I don’t really see this as a negative, just more a ‘Wasn’t for me’ type of review. I’m sure lots of people will love your book.